Ride for Leyton Orient Trust! 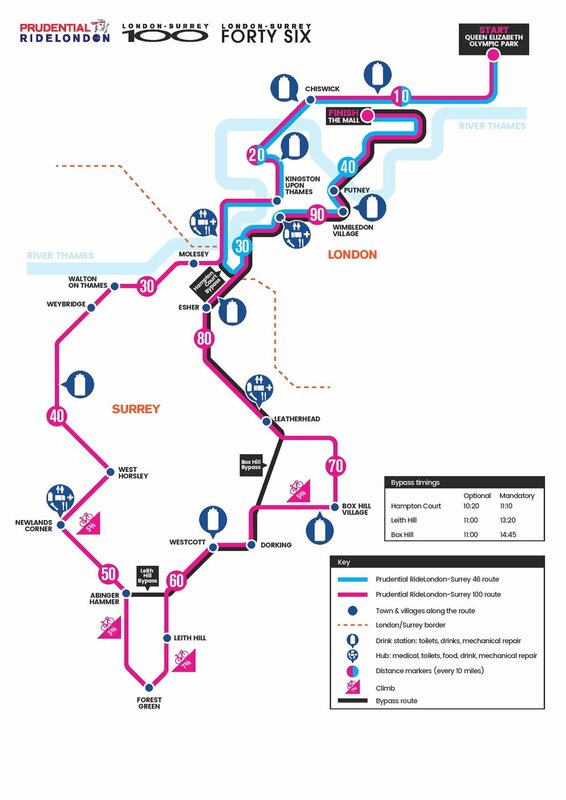 Prudential RideLondon-Surrey 100 starts in Queen Elizabeth Olympic Park, then follows a 100-mile route on closed roads through the capital and into Surrey’s stunning countryside. With leg-testing climbs and a route made famous by the world’s best cyclists at the London 2012 Olympics, it's a truly spectacular event for all involved. The Prudential RideLondon-Surrey 100 finishes on The Mall in central London, shortly before 150 professional cyclists race in the Prudential RideLondon-Surrey Classic on a similar route. Join Team Leyton Orient Trust! Be a part of Team Leyton Orient Trust - support eachother through training and on the day. Starting from Queen Elizabeth Olympic Park in east London, cyclists ride through the City of London before heading west. Riders first cross the River Thames at Chiswick and pass through Richmond Park before crossing Hampton Court Bridge. After a well-earned descent towards Dorking, it's onto the next challenge: the world-famous zig-zags of Box Hill. After heading north through Leatherhead, Oxshott and Esher the route takes riders back into London over Putney Bridge. The route then follows the Embankment all the way alongside the Thames. Riders pass Trafalgar Square before a spectacular finish on The Mall. (Please note the route may change for 2019). If you like to apply to join Team Leyton Orient Trust, please fill in the form below and tell us in no more than 250 words why you would like to take part in Prudential RideLondon 2019 for Leyton Orient Trust. Thank you very much for applying to be a part of Team Leyton Orient Trust, we'll be in touch shortly.